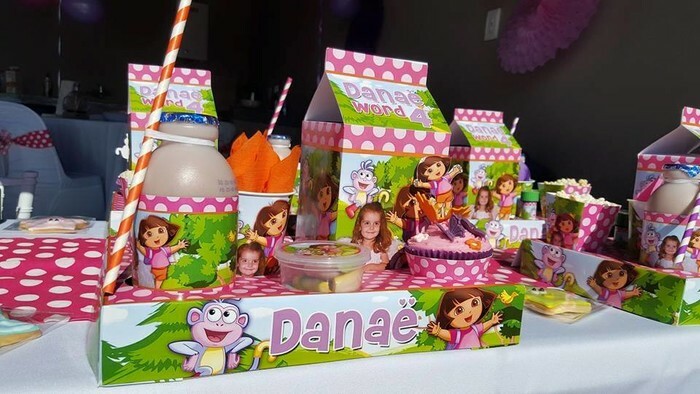 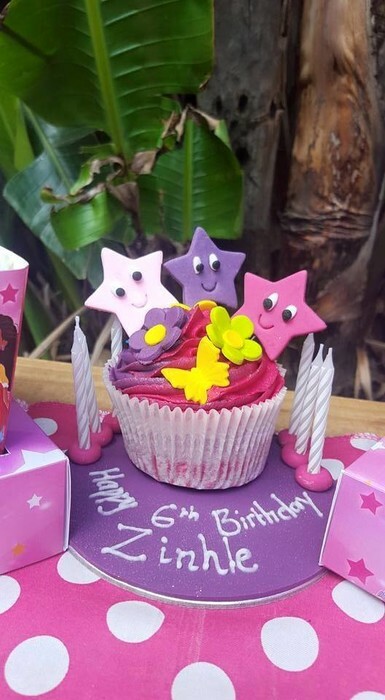 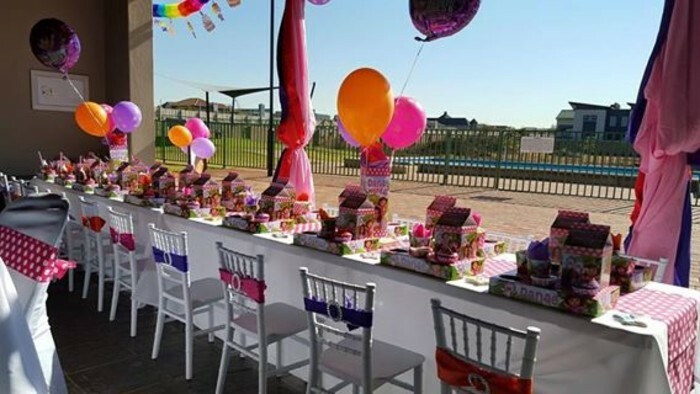 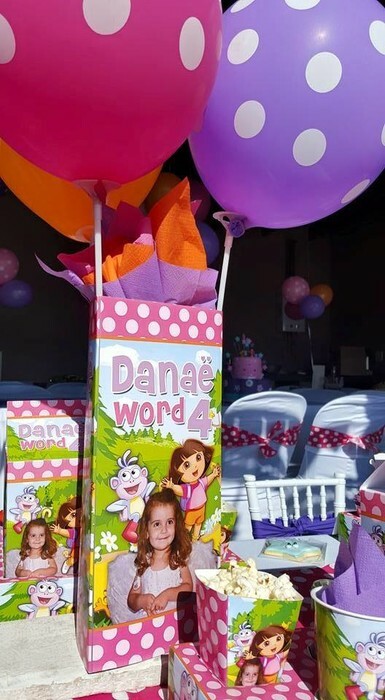 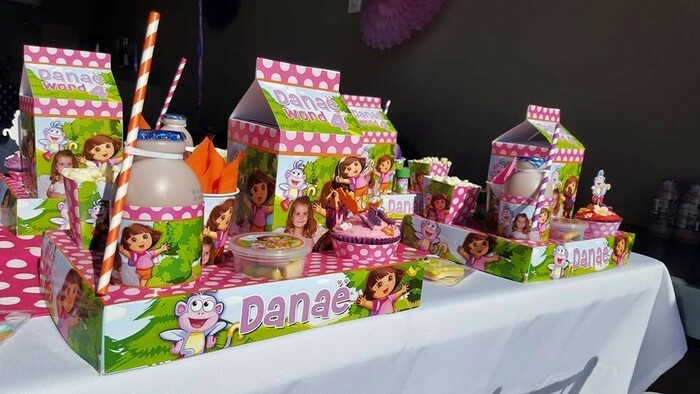 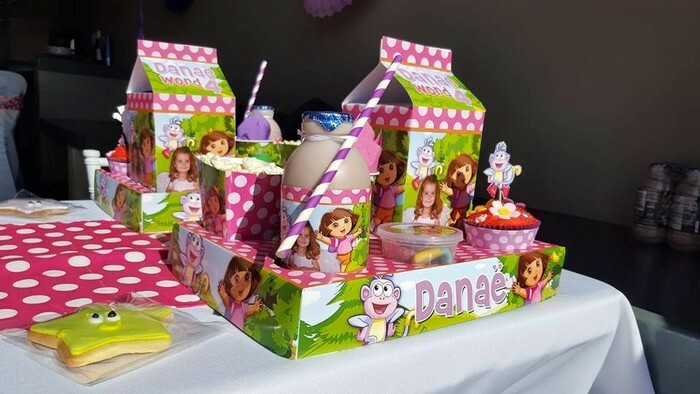 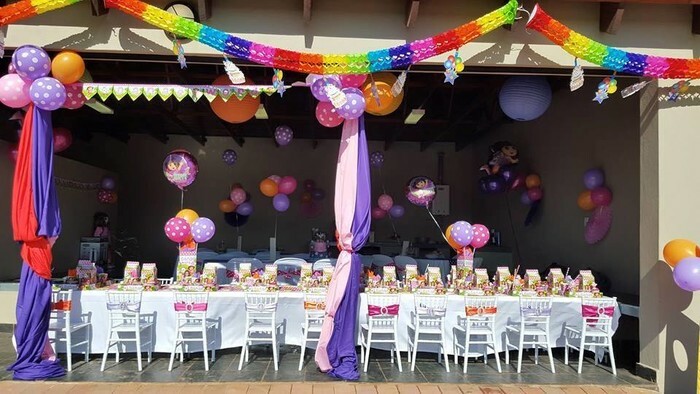 Danae celebrated her 4th birthday at her local park in Midstream Estate, Centurion. 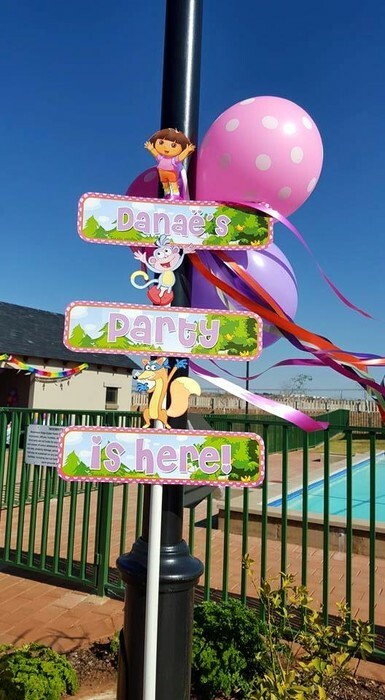 Not only did we make her her very own personalised party decor, but also did the setup for her party and for all the adults. 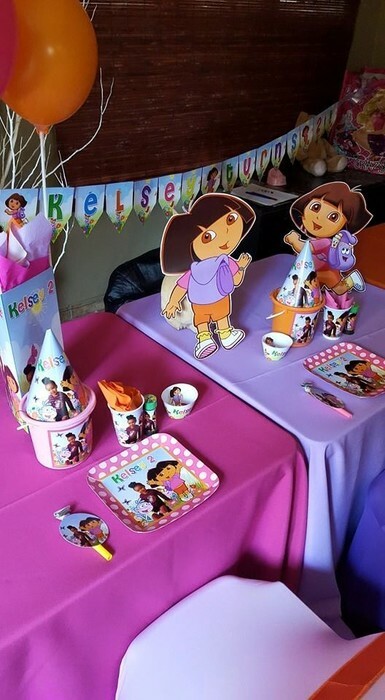 "We DID It!" 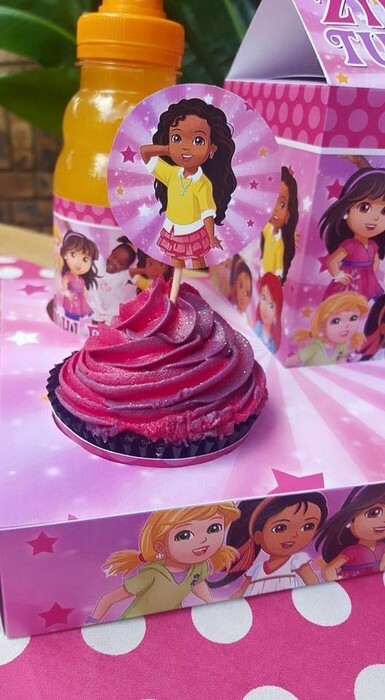 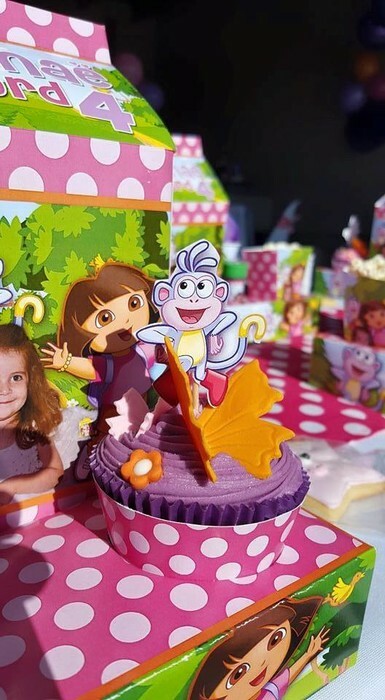 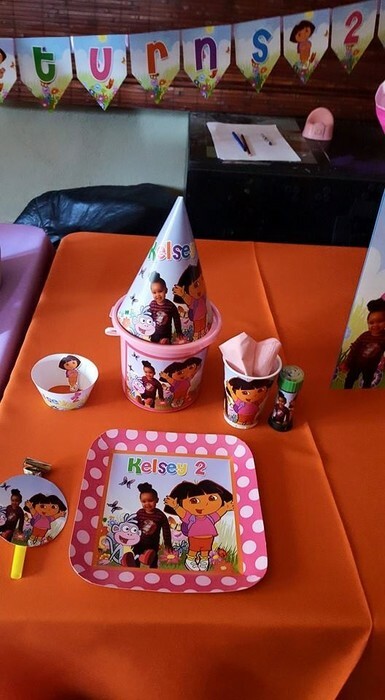 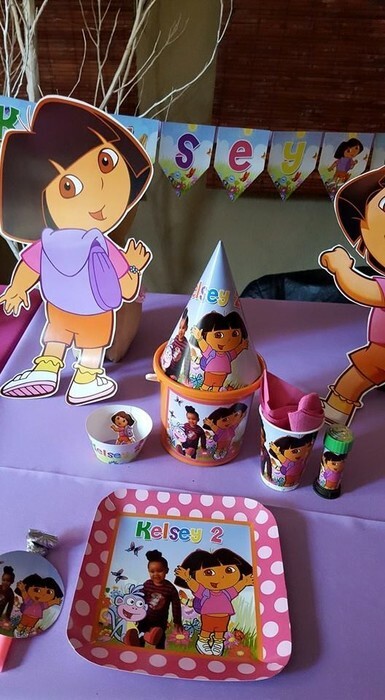 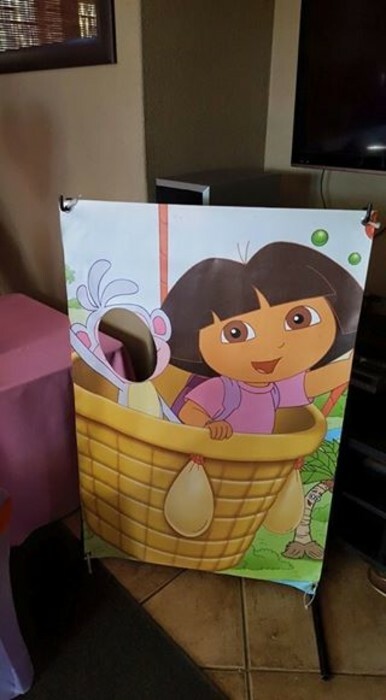 Kelsey's 2nd birthday was made that extra special with her personalised Dora the Explorer party decor. 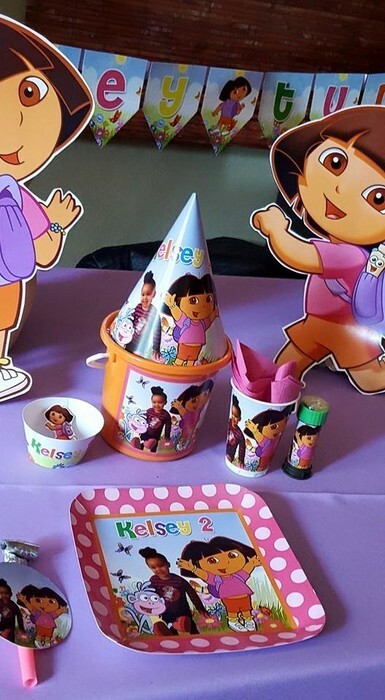 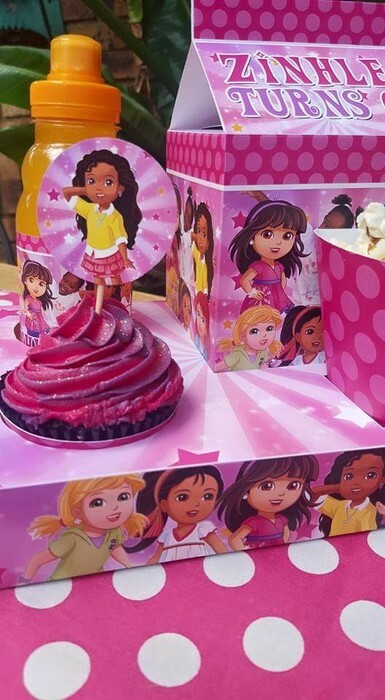 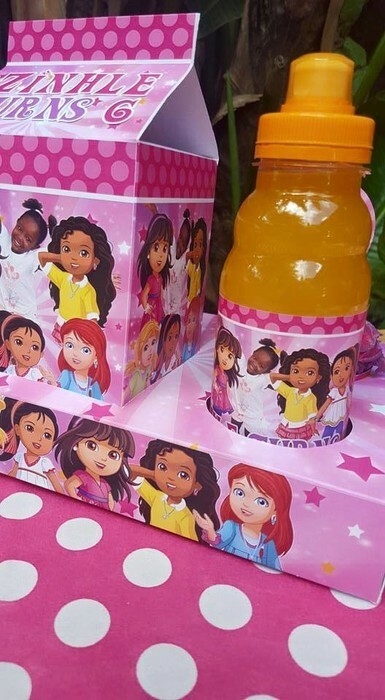 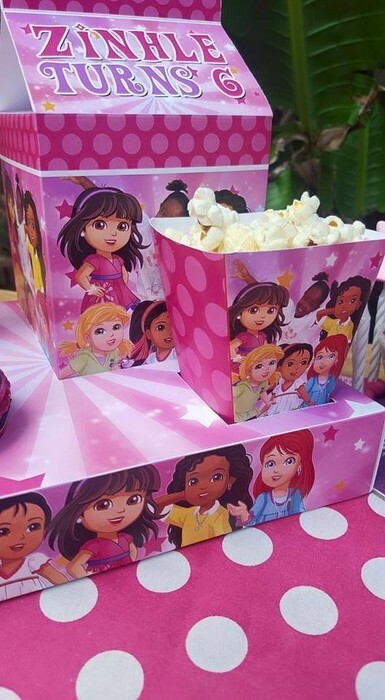 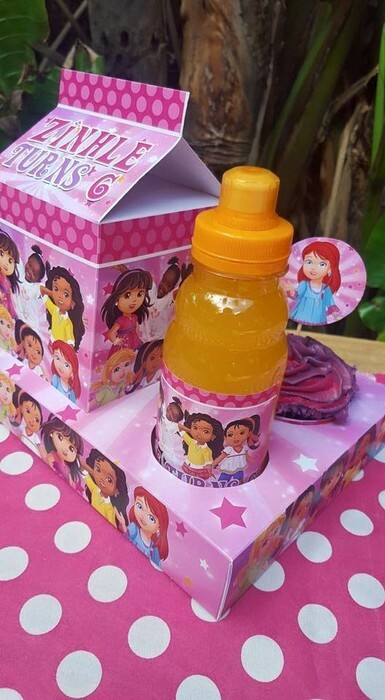 We decided on a pink and purple colour scheme for this Dora the Explorer party supplies to compliment the party decor. 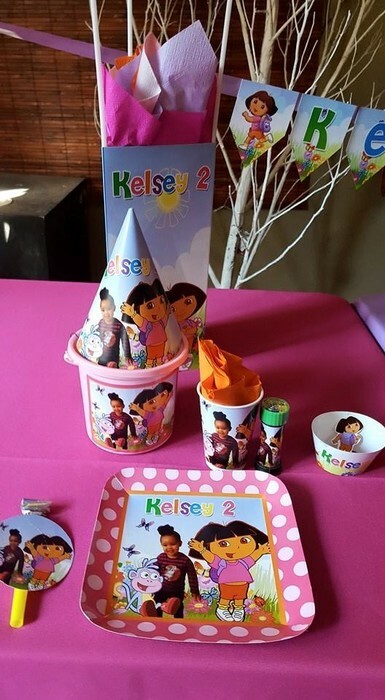 We made custom party plates, cups, bubbles, flag bunting, cupcake wrappers, blowouts and table centerpieces for her birthday.